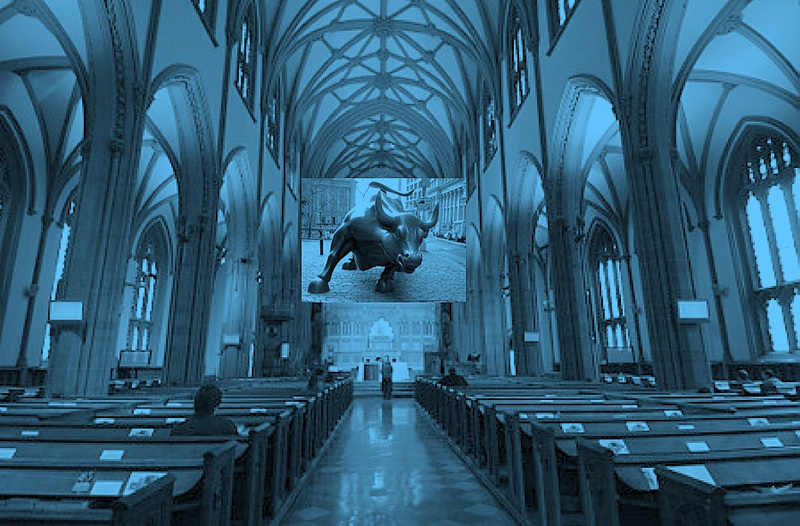 Who Is Guilty of Heresy: Occupy Wall Street or Those Who Believe In the Omnipotence of Capitalism? Who are the real heretics in this country? The people challenging corporate power and greed or the people who have made Wall Street their god? House Majority Leader, Eric Cantor (R. VA) described the demonstrators as angry mobs that are pitting Americans against Americans. Presidential candidate, Mitt Romney, a billionaire businessman in his own right, concurred that the demonstrators are dangerous people who are promoting class warfare. A man who has dedicated his life to being America’s favorite uncle-tom, Herman Cain, suggested that when unemployed Americans demonstrate against Wall Street, they are acknowledging that they couldn’t make it on their own and want a handout. Can you imagine and African-American implying that there is no longer racism in America? Unemployment according to Uncle Herman, is the fault of the unemployed. So why are twice as many African-Americans out of work at this moment? Media mogul and popular Mayor of New York, Michael Bloomberg, ridiculed the demonstrators for taking jobs away from New Yorker’s by making the City less attractive to tourists. That position may explain the often violent, hard-nose tactics of the NYPD in recent weeks. So why is it when a lot of curmudgeon, white, conservative, working class people come out in the street to complain about their taxes being too high and call the first African-American President names, they are venerated as true patriots, practicing democracy in the spirit of the American Revolution? And make no mistake about it, they are the true defenders of the Constitution. But, when educated, middle class young adults, union members, unemployed people and citizens for whom the “American dream” is not limited to consumerism and the acquisition of wealth, take to the streets to point out that corporate America has become more powerful than the citizens of this country, they are denounced as a dangerous, un-American mob that must be stopped? Why did Jeffress need to publicly execute another religious tradition? Put simply and succinctly, because he is a very simple man living in a very simple world where there is only one version of “truth.” That truth, is of course, whatever Robert Jeffress believes the truth to be. Isn’t that convenient? For simple-minded religious fundamentalists, even acknowledging the existence of other faiths is tantamount to suggesting that one’s own faith, in this case, the evangelical Southern Baptist Convention, doesn’t have a monopoly on God, Jesus, the Bible, knowing right from wrong and deciding who is good and who is evil. 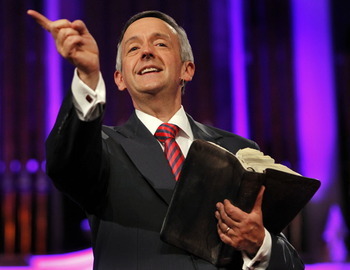 People like Robert Jeffress lack the intellectual and emotional maturity to function in a pluralistic world where there are real differences between people, nations, cultures and religions. Robert Jeffress’ world, IS THE WORLD. As such, he doesn’t have to understand, negotiate, or think about anything that makes him uncomfortable. Isn’t that convenient? Please don’t tell me that the world I emotionally, intellectually, and most importantly, FINANCIALLY need and depend upon, is evil, corrupt and doing damage to society. You must be wrong. In fact, you must be evil for even suggesting that capitalism has faults. Unfortunately, the truth is never convenient.